"Women have equal rights to do what they want. If they came to a gym and watched us train we train harder than the men do, we are more disciplined. If they actually went to a world championship and watched the talent they would soon change their minds about it." That's the view of Welsh female boxer Chalene Jones, 24. She is a determined amateur; three times Welsh national champion, one time British champion and a lady with one eye on the Rio Olympics in 2016. Her views come in light of the comments made by Billie Joe Saunders in a recent interview, that women shouldn't be in a boxing ring and......well, Google the rest of it as I won't give it credence here. Charlene started boxing at a young age - her dad was an amateur boxer who encouraged her participation at the gym. "He took me there and I was a natural, I loved it" Jones tell me. Women's boxing has taken a huge profile leap since London 2012, the face of Nicola Adams adourned every TV screen and broadsheet newspaper for months after Russell Brand had ridden his bus through the closing ceremony. Katie Taylor continues to dominate the 60kg division, the same weight category that Charlene fights in. Does that bother her? "I want to fight her, I want to know where I stand. It would be good to fight her to see where I'm at. Her and Nicola Adams are 100% great for the sport. Women's boxing has come a long way, now there are more weight classes it will pick up again. The Olympics showed how good women's boxing is." The latest yardstick that Charlene could measure herself by came in the Commonwealth Games last year - she came away having lost a quarter final to Indian Laishra Demi. What did she take from the event? "I lost by one point to a former world champion ( Demi). I took a lot of confidence from that. I only had 24 fights before the games, the girl I lost to had over 100 fights and had more experience than me, but I proved I'm on their level. It gives me confidence and self belief" she tells me. So what is the schedule for a female amateur boxer? Well, similar to a male boxer there are the national championships, the British championships, the European championships, the World championships and the Olympics. "We also have international tournaments, smaller ones. Our next one is in Poland in September, they're a good warm up for the big tournaments" says Jones. That's quite a hectic schedule to fit around working life. Charlene is also a personal trainer when she isn't training or in the ring. However for her weight category Britain didn't submit an entrant to last years European championships. "I don't know why" says Charlene. "You had to qualify for it, but at the time I was in training camp for the Commonwealth games, so I couldn't do it." The hazards of such a hectic schedule. That schedule doesn't seem to be relenting any time in the near future. In 2016 there are two major medals to go for - the World championships and the Olympics. Having the two highest accolades in the sport available in the same year means that qualification takes on a higher precedence than ever. To qualify to enter the Olympics is hard enough alone - to do so a fighter must reach the quarter finals of the World championships first in February. Is that a daunting challenge for the young Welsh fighter? "Well there's myself and two English girls who are both part of the Team GB setup. I won the British championships, the other two didn't enter. We will have a box off to see who goes to the World championships." Is Charlene confident of securing her place on the team? "I'm 100% confident I can do it. I am entitled to be given the chance to get there and I am sure that I can win the box off. I've not boxed the two girls before, but I believe I can do it." The British championships that Jones won was her first gold medal as a boxer. "I was absolutely delighted" she gleams. 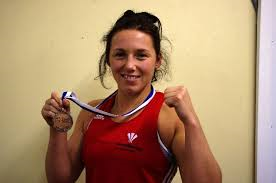 And so she should be - she can add it to her accolade of being the first female boxer from Wales to represent the country at the Commonwealth games. 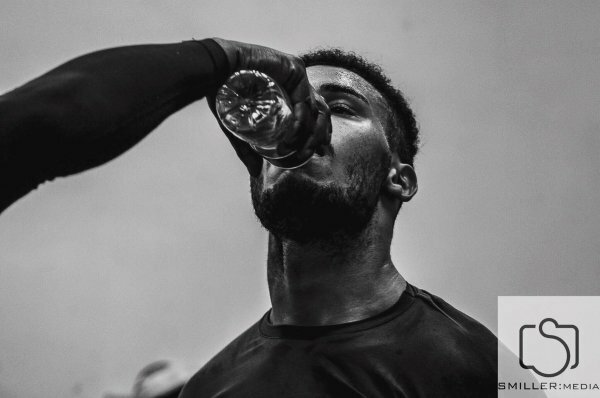 Recently Charlene teamed up with undefeated London featherweight fighter Mitchell Smith, the man making loud noises in the domestic scene with a nice rivalry simmering with his Northern rival Josh Warrington (read our piece with Mitchell here). How did that come about? 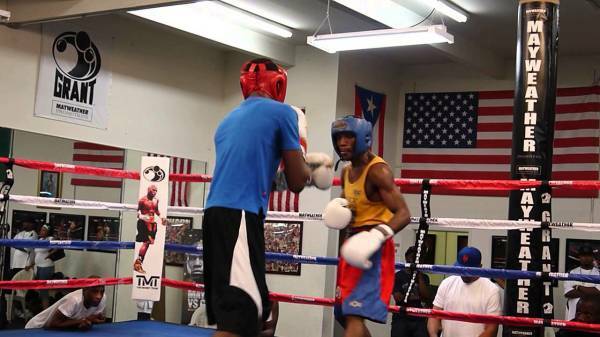 "I'm a big fan of his, I love the way he boxes. I got in touch on Twitter and worked out going up to his gym, it's great." And what of Mitchell's outspoken views? "He doesn't care what he says, it's great for the sport!" 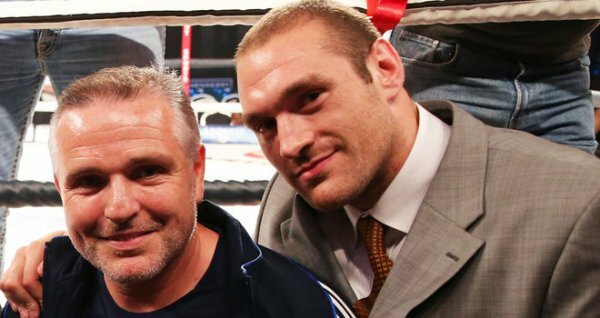 Of course he isn't the only outspoken boxer out there - when we disscussed the views of a certain Billie Joe Saunders (and to a lesser extent Frank Warren) Charlene wasn't aware of the comments. When I put them to her, she was equally vociferous in response. 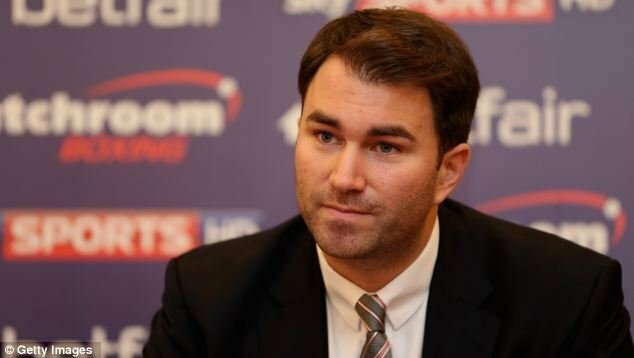 "I hadn't seen them, but I think that's ridiculous,"
Saunders is due to face Andy Lee for the WBO middleweight title later this year, and as part of the undercard Irish female boxer Katie Taylor was being lined up for a prestigious showpiece fight which unfortunately has now been pulled from the card. "It's a real shame, it would have been huge for the profile of women's boxing" is Jones's view - shared I am sure by those with a respect for women who enter the ring. We finish up conversations by discuss the prospect of women turning professional. In Britain it is relatively rare that it happens, but overseas it is more common and lucrative. Is it something that Jones would one day consider if the opportunity arose? "Absolutely. The British Board allow it but it's not very popular. It would take someone like Nicola (Adams) or Katie (Taylor) to turn pro for it to kick off. I would love to have a go in the future, it's not all about money but if I could make a profession out of it and enjoy the sport that would be the dream." For now the dream is all about next year. For any amateur boxer, male of female, the Olympics is the pinnacle of the sport. Charlene has done her grat, she has picked up her experience of the major tournaments and is now confident that she is on a level with her international peers. There are still hurdles to jump before she can get the exposure of a place in the Team GB Olympic squad, but with her first gold medal around her neck and confidence at an all time high, the girl from Wales may just take Brazil by storm in 2016.